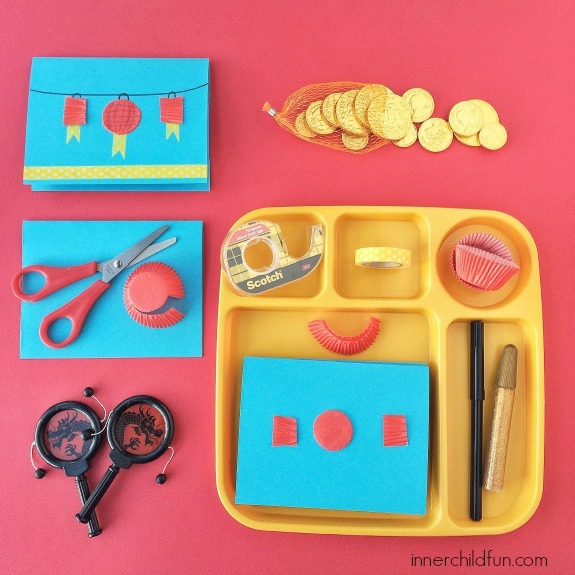 These Chinese New Year crafts and activities are simple to set up and fun to do together with the kids! 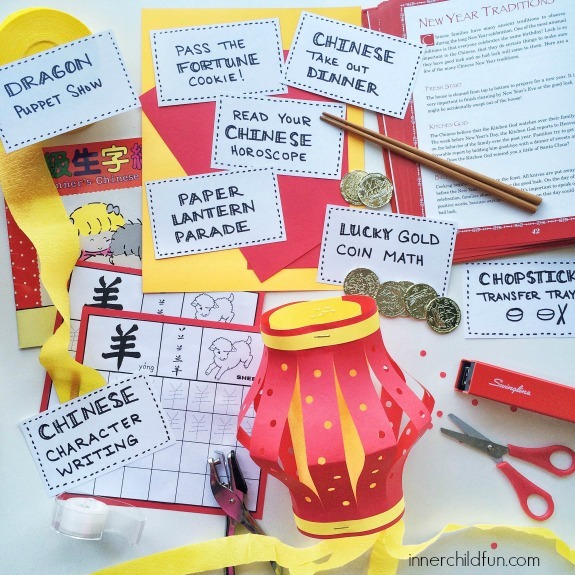 My kids (ages 6 and 10) share a fascination with China, so these activities were a big hit with them! Who knows? These festive crafts may even bring you a bit of good luck! Print out worksheets to learn how to write some simple Chinese characters. You can find several printable Chinese character worksheets for kids here. Set out a tray with two bowls. Fill the left bowl with gold coins and leave the other one empty. Invite your child to transfer the coins from the left bowl to the right using only chopsticks! For younger kids, a set of tongs would also work. Lots of possibilities here. Use gold coins to practice counting, sorting (by size), adding, subtracting, probability (flip a coin several times and graph the results)! Use paper bags and construction paper to craft up some dragon puppets. Put on a show! Cut up red cupcake liners and attach to card stock with double sided tape to look like lanterns hanging on a line. Add washi tape streamers or gold glitter glue, if desired. Allow the glue to dry completely, and mail your handmade card to someone special! Use construction paper, scissors, and a stapler to craft up some paper lanterns. March around the house for a festive paper lantern parade! Learn how to make paper lanterns with this step-by-step tutorial. Order take out from your favorite Chinese restaurant. Added bonus — order a new entree or appetizer you have never tried before! These can be great fun to read! Your Chinese horoscope is dependent on the year that you were born. Click here for your Chinese horoscope. This is played just like “hot potato”. Participants sit together in a circle. While the music is playing, they take turns passing a fortune cookie around. When the music stops, the player holding the fortune cookie is “out”. The last player left wins! 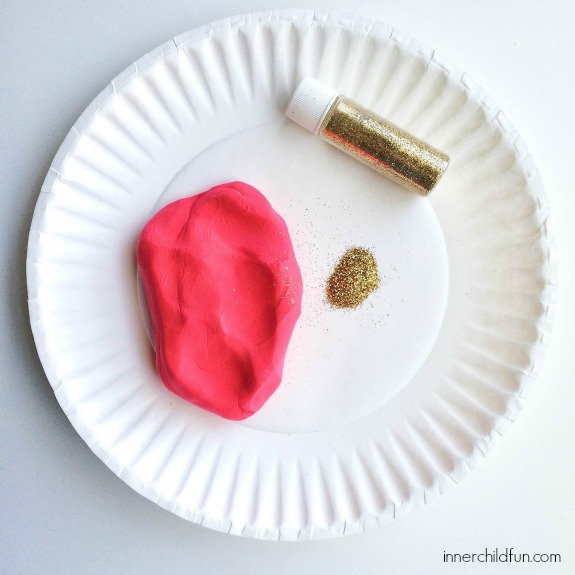 Mix gold glitter into red play dough! The glitter stays in the play dough like magic. Don’t forget to like our facebook page, or subscribe to our newsletter for projects and play ideas to do with your kids! Thanks for stopping by!